In the heart of Strasbourg, we welcome you for relaxation as well as work. Ideally located within Grande-Île, classified as a World Heritage Site by UNESCO, you are within walking distance of shops, tourist sites such as Petite France and the cathedral, as well as Winstubs, and a few TRAM stations from the Palais de la Musique et des Congrès. The Christmas market is back in Strasbourg 23 Nov to 24 Dec 2018. For the safety of all, Grande Île de Strasbourg, and our hotel, cannot be reached by car 11 am to 8 pm, (car park: Halles P2 Sébastopol) Strasbourg is a city whose history can be seen in the wealth of its architectural and cultural heritage. Petite France, the most picturesque part of Strasbourg is characterized by its beautiful timbered houses and covered bridges. We stayed here for two days. Hotel is reasonably equipped, if you need to work in your room, there is a cattle to make tea and coffee. Location is very good, just short walk to main historical centre and fine dinning opportunities. There is also parking for you if you came with car. All in all - very good for me. The hotel is good, although not overly luxurious. It is certainly very good for its price. Its placement in the center of Strasbourg, close to the train station (only 2 tram stops away and within walking distance) is excellent. The room was clean, large and comfortable. The breakfast was also good, although not on the level of other 4 star hotels. Smelly and worn room for €225..
We were very pleased with our stay in the Strasbourg Mecure. All the staff but especially Natalie were very helpful and friendly. The breakfast was very good but quite expensive and the room was very good for the price. Our only difficulty was the button for the door in the car park which could be easier to locate!! I would specify that your staff is excellent and they all behaved in a very friendly way. Very nice stay, clean room, but expensive breakfast and poor food offer. Perfect location and good value. In Europe I generally try to stay at an Accor property. 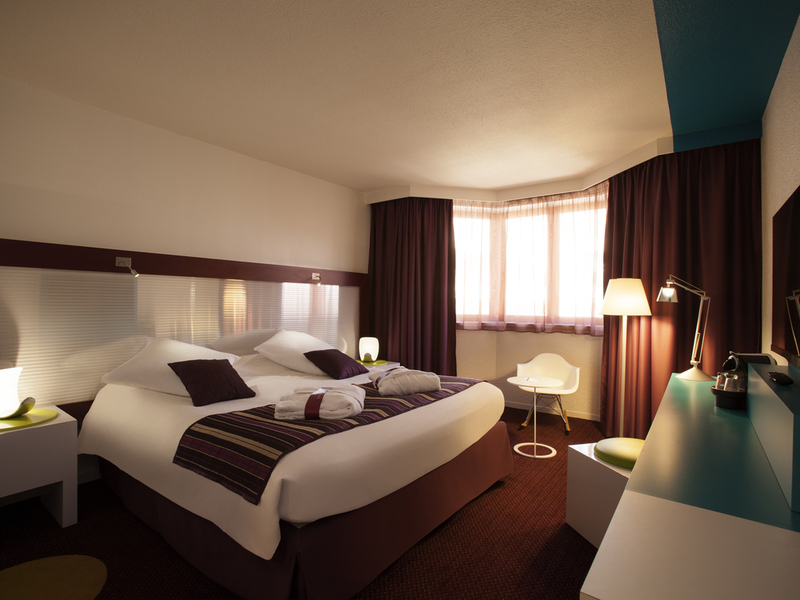 The Mercure Strasbourg Centre is typical of my impression with this brand - staff is friendly and professional, great service, nicely appointed rooms, very comfortable beds and a competitive rate. I only stayed one night but reception and services were very nice and the room appropriate for a short stay business trip. The personnel was very kind and overall it was a pleasant stay. Been there on business trip and enjoyed the cozy rooms , very helpful and professional staff. Would sure book there again, very high status recognition. (Platinum Member) Thumbs Up! The hotel employee who checked us in and who we saw for the two days of our stay is why we gave this hotel a high rating. She was helpful and had a warm demeanor. She went over and beyond our expectations. The hotel room was comfortable and clean. The twin share was average, sharing a bottom sheet between two beds proved to very uncomfortable. The staff were unhelpful in relation to providing information on getting to the airport and arranging a taxi (nearly missed the plane). Breakfast was just okay, would not stay at a Mecure hotel again. Recommended but a bit pricy! The hotel has a perfect and convenient location in the center and less than a 10min walk away from the cathedral and the train station. Room size is good, it was clean and comfortable.